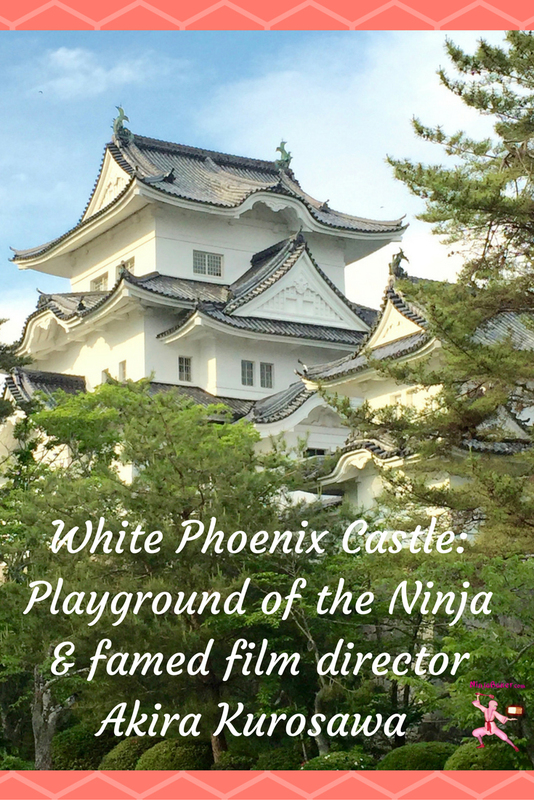 Nestled in the mountains of Mie Prefecture is Iga Ueno: Home to Japan’s famed ninja. 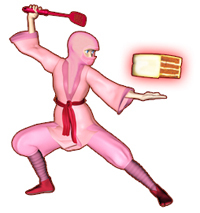 Iga Ueno ninja alongside Shiga Prefecture’s Koga ninja (in Koka) were said to be the stealthiest. Mission impossible? Samurai summoned the Iga ninja and the Koga ninja. 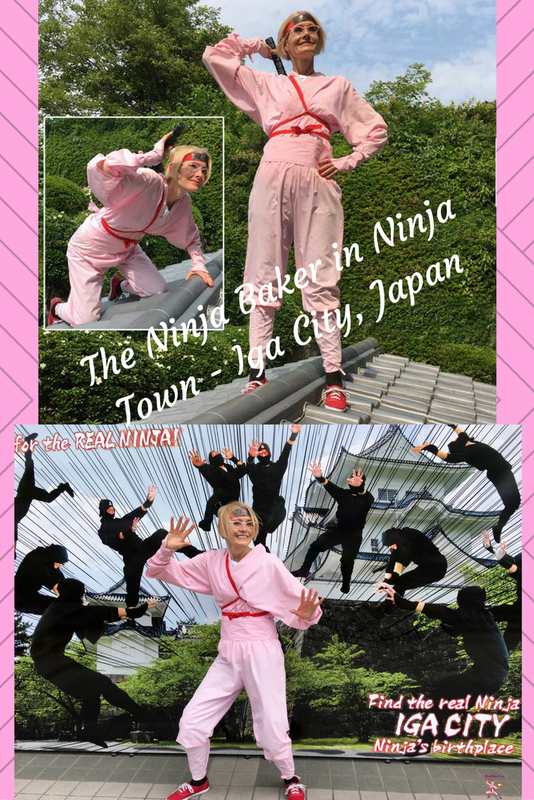 Arriving at the isolated Ninja Park in Iga Ueno, I wondered if real ninja were hiding. 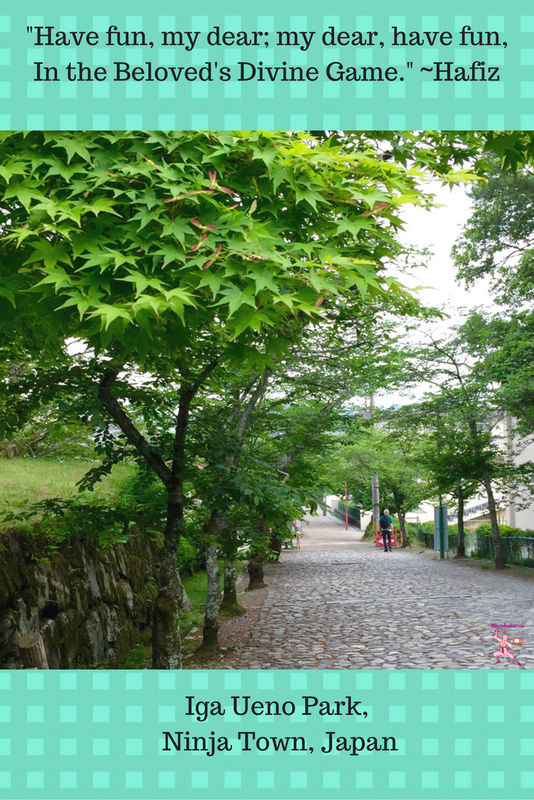 The mountainous town is a trek from Tokyo. Transportation time depends on which trains you catch. Our journey to the ninja town took under two hours. (Thanks to our Japan Rail Pass.) The return from fun with the ninjas, took about 3. However, I’d do it all over again. Yes, the ninja experience was amazing. But, also, the scenery outside the local train was breathtaking. A rushing river sang to the trees and rocks. The country (local) train ride felt soothing. I love Tokyo. It’s my hometown. But, a break from the always-buzzing energy of the cosmopolitan capital is refreshing. If you want to be a ninja, it pays to be a morning person. 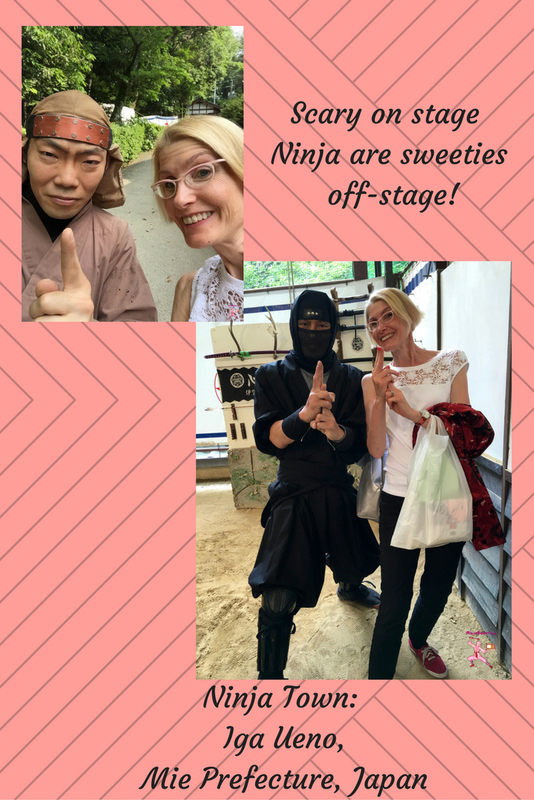 The ninja experience, museum, shows and Iga Ueno Castle close early. Entrance to the park is not permitted after 4:30 p.m. Also, if you want to dress up as a ninja, you’ll have to go to a separate location. (5 minutes from the park entrance. And another 5 to 7 minutes up the hill.) 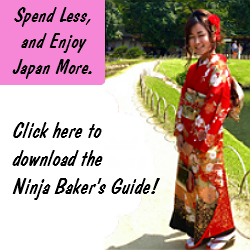 Click here for the specific details (in English) of each ninja experience and entertainment. 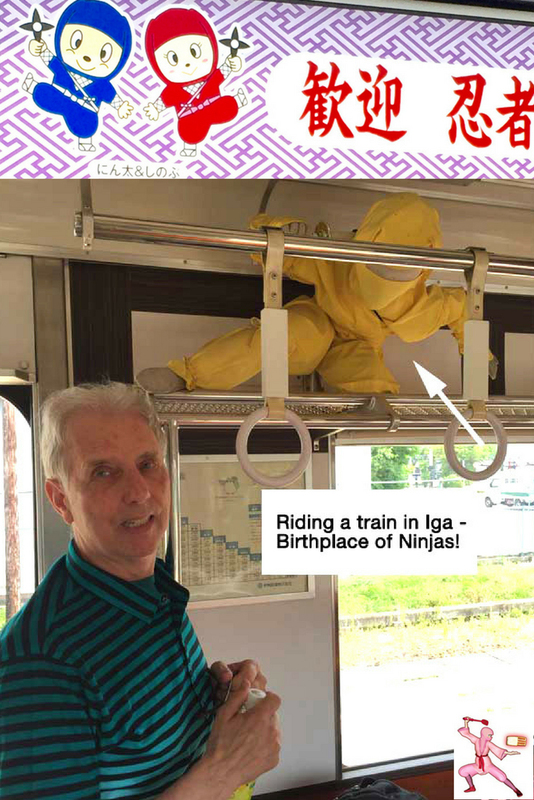 The address and directions to the Iga Ueno Ninja Park are also here.